Our men’s and women’s junior teams put in some incredible performances at the weekend in France. Our men’s team took the top team spot in an under 18 four-way international and the first three places in the all-around event and our women took silver in a three-way international and the bronze in the all-around event. 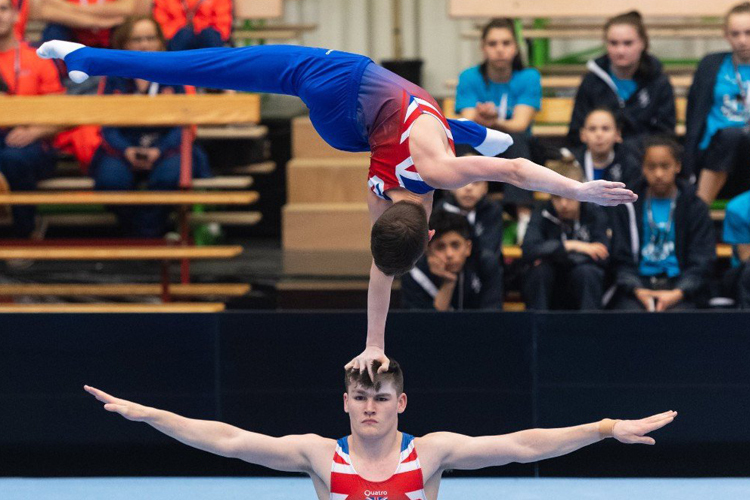 In the men’s competition, the British team of Joe Fraser, Giarnni Regini-Moran, Hamish Carter, Joshua Nathan, Jamie Lewis and Tommy Nicolaou took the gold with 333.400, 13 marks ahead of their closest rival Switzerland in silver with 320.450. France took the third spot with 315.950 and Germany fourth with 311.350. In the all-around event, Joe Fraser was victorious with 84.300 ahead of teammates Giarnni Regini Moran with 83.500 and Hamish Carter with 82.200. 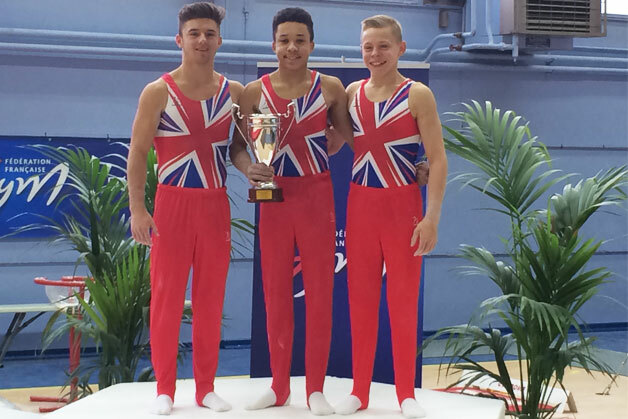 The three top all-around gymnasts also took the top spots on each of the apparatus with Joe leading the way on the pommel horse (14.550), the rings (14.150) and parallel bars (14.200). Giarnni topped the vault (15.200) and high bar (13.650) with Hamish winning floor (14.600). In the women’s event, the British team of Georgia Mae Fenton, Maisie Methuen, Lucy Stanhope, Abigail Solari, Louise McColgan and Phoebe Turner took the silver medal with 160.550 behind France in first with 162.200 and Switzerland in bronze with 156.100. In the all-around event, Georgia Mae Fenton took the bronze medal with 53.300 behind Switzerland Livia Schmid with 54.300 and France’s Juliette Bossu with 53.450. Georgia Mae also topped the individual bar standings with 13.650.